Speakers, audio amplifiers, EDID emulators, picture-in-picture devices, embedders, de-embedders, and more. - Line or Mic Level − Input selectable. - Front Panel Mute Button. 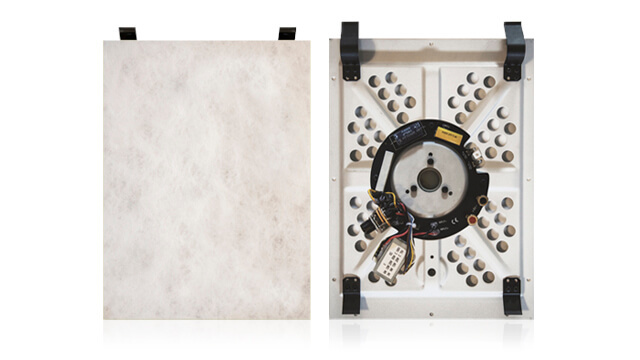 1 Mic 1 Speaker Hi-Z - 70V or 100V Amplification. - Balanced, Unbalanced and Mic Inputs. 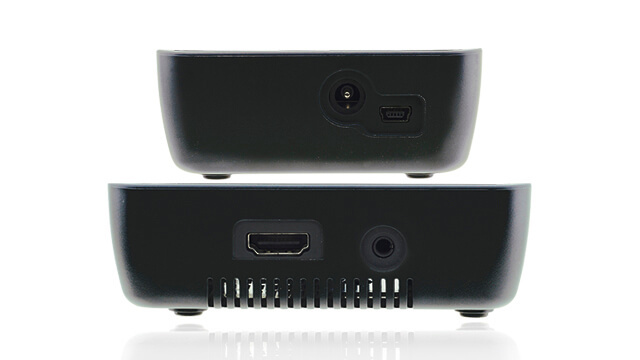 Specialty products for video applications. - Codec Support − MPEG−1, MPEG−2, MPEG L2, MP3, H.264/MPEG−4, and VC−1. - Memory Options − 8GB internal. - Compact DigiTOOLS® − Built−in mounting bracket. 1 CV - Max. Data Rate − 3Gbps. 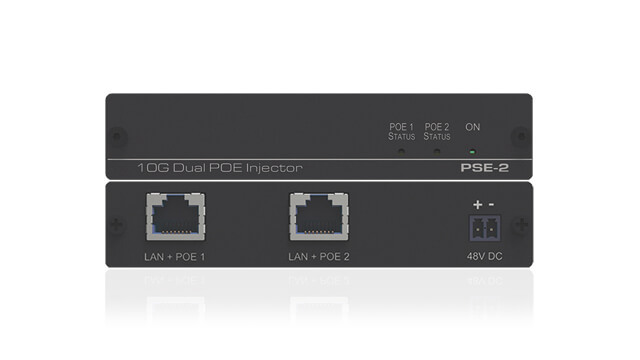 - Control − Ethernet & RS−232. - Control − IR Remote, USB Mouse (with OSD), RS−232 & Ethernet. - SCH / Phase Adjust. - Looping Analog Genlock Input . Output multiple 5/12V DC power to compatible Kramer TOOLS and desktop models. Video signals encoded and decoded by video codec sent over an IP network. 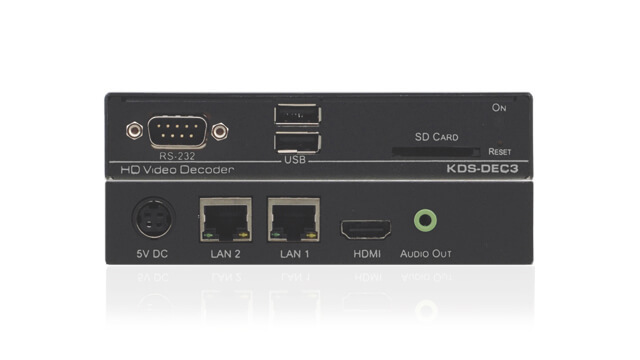 KDS-DEC3 H.264 Decoder 2 Ethernet 1 HDMI - AVC Support − MPEG−4 using H.264 & AAC codecs. - Open Encoding − Enable software decoding through VLC® player software. - Decoder−Integrated Network Switch − - Allows for KDS−DEC3 daisy chaining and network extension. - Streaming Support − Unicast and multicast through RTSP (Real Time Streaming Protocol).